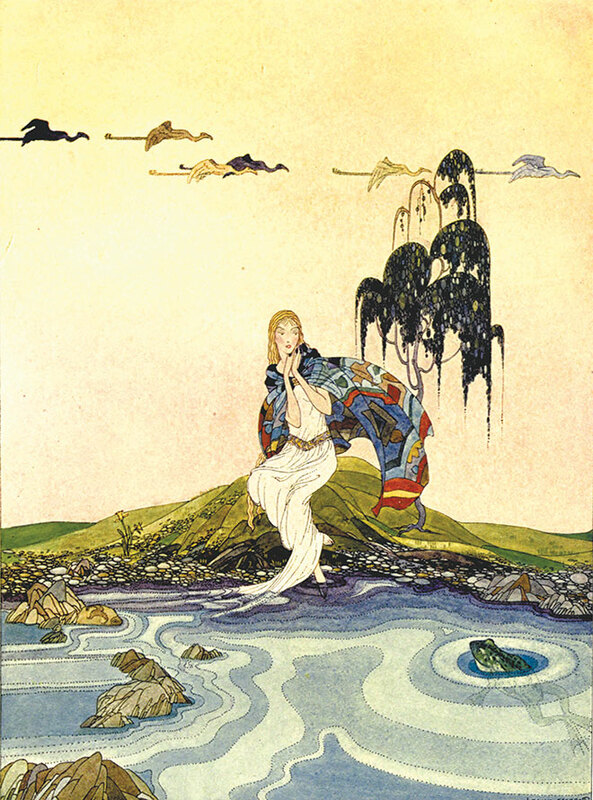 Virginia Frances Sterrett was an American artist and illustrator, born in 1900, in Chicago, Illinois, U.S.A.
Sterrett had a tragically short, though immensely productive life. She was an introverted young woman, who much preferred drawing and day-dreaming to socialising with children of her own age. After her father’s death, the family moved to Missouri, however they soon returned to their homeland in Chicago, in 1915. It was here that Sterrett really took her art seriously, and enrolled in high school to progress her studies. She later joined the Art Institute of Chicago, where she was awarded a scholarship. Sadly, Sterrett was forced to leave the Art Institute just one year later, when her mother became seriously ill, and she was forced to take on the role of main provider for the family. She worked quietly and consistently on her artwork still, and gained work in an art advertising agency. All of this practice and work in solitude soon paid off, and Sterrett received her first commission at the age of nineteen – shortly after she was diagnosed with tuberculosis. This commission came from the ‘Penn Publishing Company’, to illustrate Old French Fairy Tales (1920); a collection of works from the nineteenth-century French author, Comtesse de Ségur (Sophie Fedorovna Rostopchine). Sterrett received $500 for her drawings. 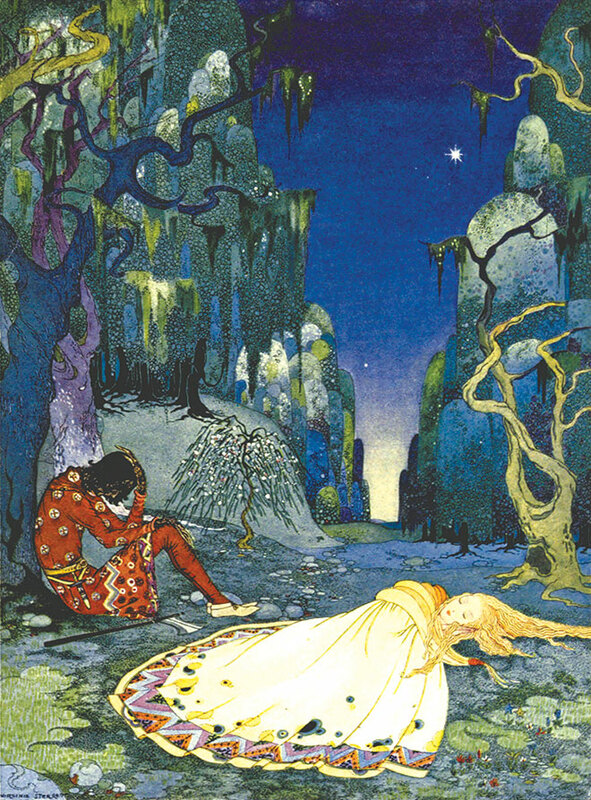 Old French Fairy Tales, Virginia Frances Sterrett, 1920. Sterrett’s illustrations for this book were delicate yet powerful, and she quickly made a name for herself in the world of children’s illustration. 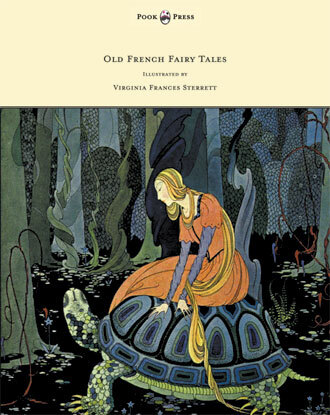 A year after the publication of Old French Fairy Tales, a new title including commissioned works from Sterrett was presented by the ‘Penn Publishing Company’ – Tanglewood Tales. 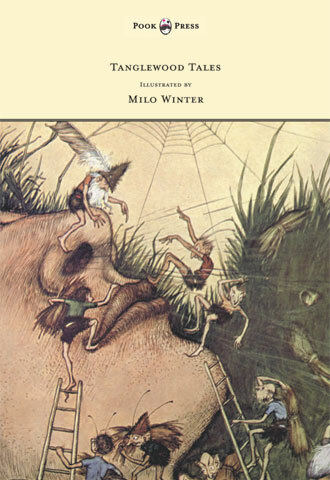 Published in 1921, Tanglewood Tales was written by the popular author Nathaniel Hawthorne (1804 – 1864), as a sequel to his A Wonder-Book for Girls and Boys (first published in 1851). 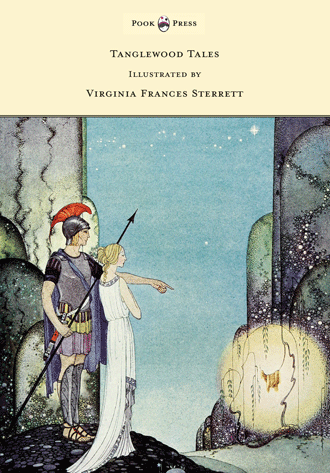 The books contained re-told myths from Greek mythology, and further propelled Sterrett’s work into the public eye – securing her place in the Golden Age canon. From 1923, in failing health, Sterrett was able to work on projects for short periods of time only. 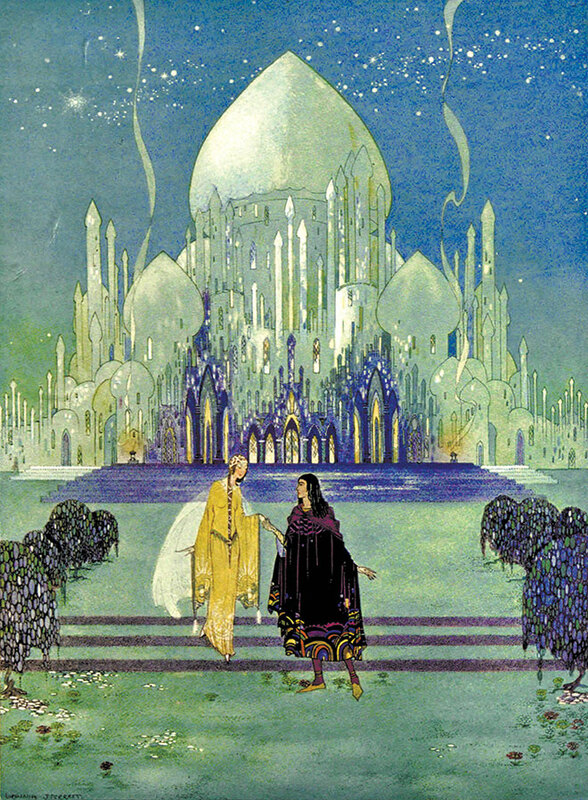 As a result, she was able to complete just one further commission prior to her death – her own interpretation of Arabian Nights (1928). This last work was also her best-known suite of illustrations, and it brought to life the One Thousand and One Nights, compiled during the Islamic Golden Age. Sterrett’s health briefly improved in 1929/1930, and she was able to move to California (where her family lived during this time). Here, she entered numerous competitions including the Los Angeles County Fair and the California State Fair. Sterrett also embarked on a set of illustrations for the collection Myths and Legends, but this commission never came to fruition. Perhaps it was the hardships of her own life that gave the young artist’s work its fanciful quality. In the imaginative scenes she set down on paper she must have escaped from the harsh actualities of existence.